If you’re searching for Ben, chances are he’s harassing one of his close friends with borderline inappropriate jokes, or celebrating Hanukkah. Ben’s semester introduction to the back row of lab 212 has brought about new tension, as Paul Janes, long-time back row dweller, and Ben still hang on to unresolved beef from a tennis match one fateful day in 2018. When Ben isn’t risking it all for top-notch reporting, you will likely find him with his girlfriend, Hannah, or slaving away in the TLC preparing for the next Weeple competition. Ben’s dedication to unit 2 is fierce, and he would do anything in defense of his fellow Twonity members, especially Drew Theut due to their impenetrable bromance. 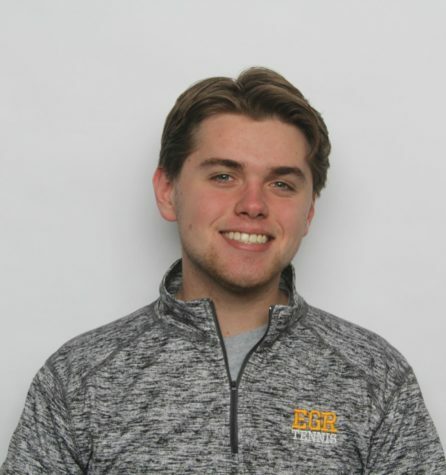 The Vision is pumped to have Ben join the Journalism staff (mostly because he can now take on all of the articles nobody else wants to write).